Corotile is a premium quality, lightweight roofing panel made from high quality steel and manufactured by Ariel Plastics. Designed for use with just about any small outdoor building type imaginable, Corotile is ideal for chalets, tool sheds, stables, summer houses, garages and more! With that classic outdoor tile look, each panel is made from aluminium and zinc. It is then finished with stone granules to provide a gorgeous finish and provide added noise insulation. This combination provides a light yet strong roofing material – which will stand up to fire, heavy snow and strong winds. Installation of Corotile is also easy, with just a power screwdriver and nibbling sheer required to finish off the job. Cutting is not necessary and the roofing sheets do not need to be bent, as they are designed to overlap each other with ease. 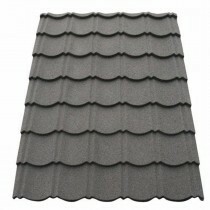 They can therefore be fitted on any roof with a pitch of 10° or more. Whether you’re completing a newly built shed or are renovating an existing garden building, Corotile is the ideal choice. This is due to them being easily fitted by DIYers with few accessories being required. 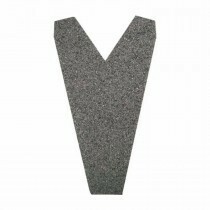 This helps to cut the overall cost of fitting Corotile, with fewer hours of labour being necessary. 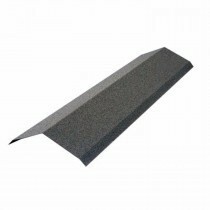 Together with 1,140 x 860mm Corotile roof sheets, we also offer all the accessories and fixings. 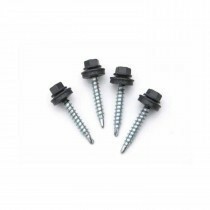 These allow you to achieve a snug and professional finish, whatever level of experience you may have. 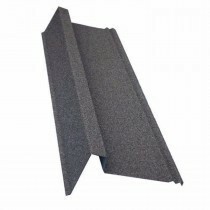 Our range of compatible accessories includes a purposely designed ridge piece, barge board and more. With a life expectancy beyond 20 years and a 15 year manufacturer warranty, you can have the utmost confidence in your choice of roofing sheet. This durability is achieved through the use of high quality steel and a granular finish – which is why our customers have also rated Corotile 5 star! Have More Questions About the Corotile Metal Roofing Sheets? If you have more questions about our Corotile roofing panels, get in touch with our team online or by telephone. With over 40 years of experience in roofing, we'll help answer your questions and ensure you have all the roofing materials you'll need for your project.